Disc golf is a family-friendly sport and great for all ages and all skills. Played very much like real golf, the holes are replaced with baskets and balls with disc. Athens-Limestone Alabama is fortunate to have five courses in our immediate area varying in terrain, skill levels, and obstacles. The 19-hole golf disc course at the Athens SportsPlex and the 18-hole golf disc courses at Joe Wheeler State Park and Calhoun Community College are full round play. 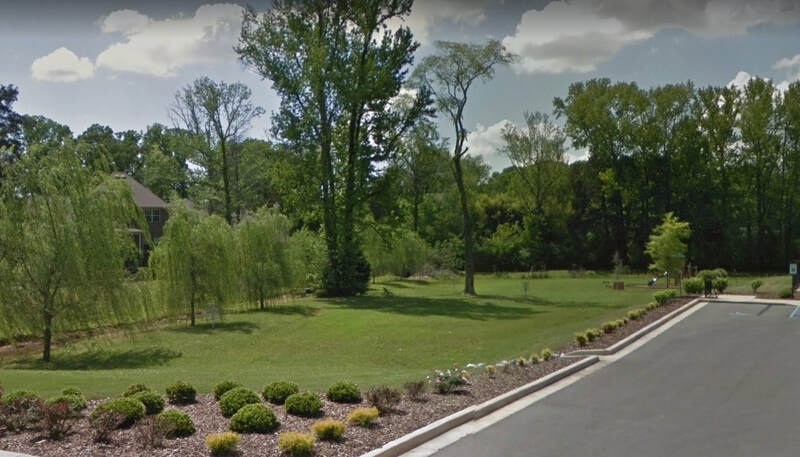 Those looking for shorter play or just starting out will enjoy the 9-hole golf disc courses at Greenbrier Woods and Athens State University. 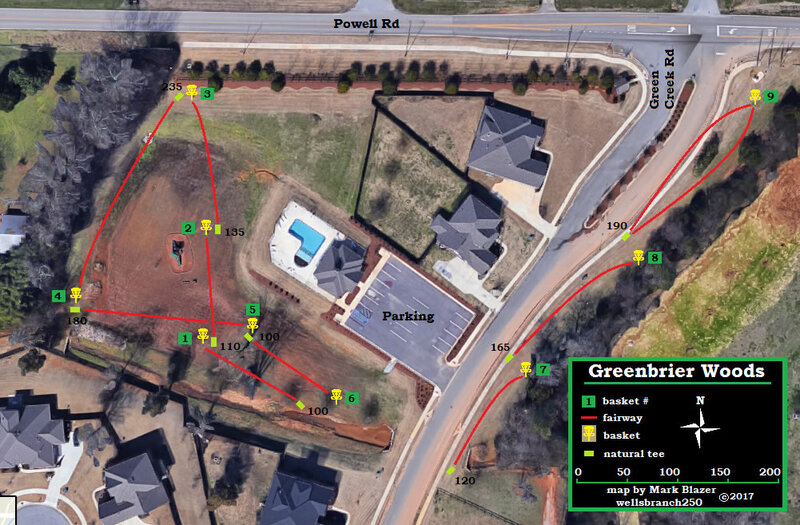 Greenbrier Woods Disc Golf course is a beginners layout and is great for quick-play. Located next to a playground, little ones not interest in a game of disc golf can be entertained. 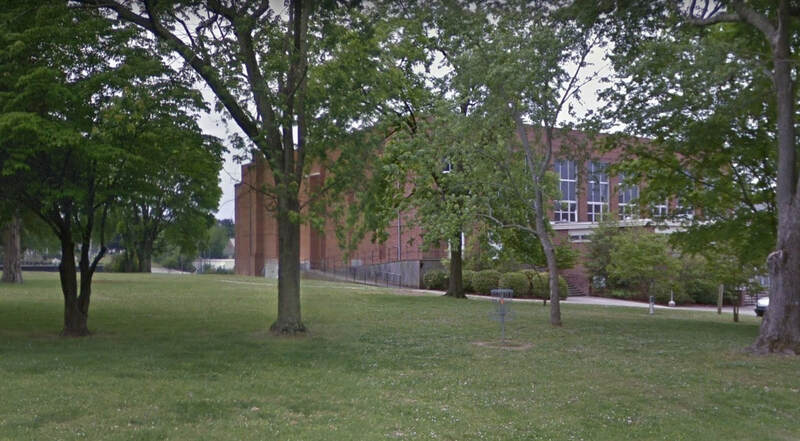 The Athens State University disc golf course sets on the grounds of Athens State University Library and adjacent to the Carter Physical Education Building. This lightly wood course offers beginners and seasoned players an enjoyable round either day or night. Due to the Tennessee Valley Old Time Fiddlers Convention, the course closes annually the last week of September and 1st week of October. 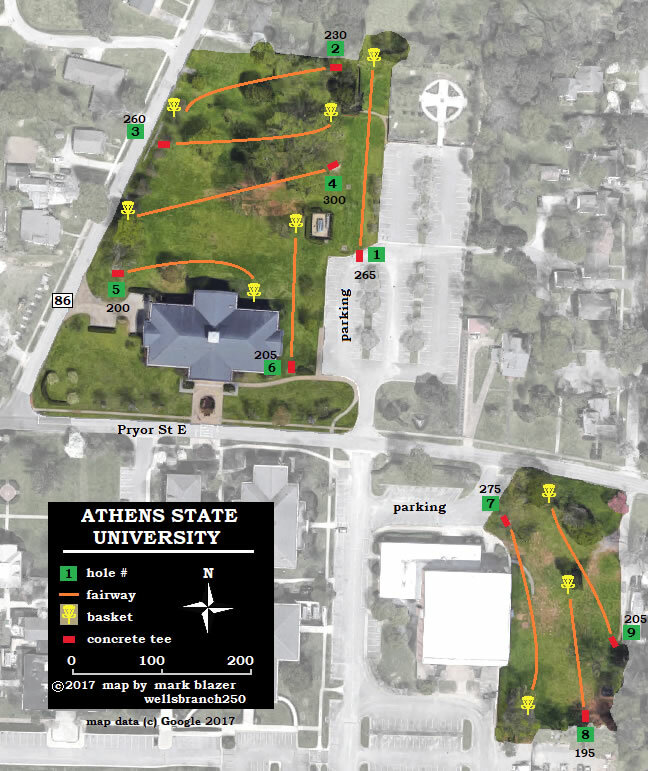 The Athens SportsPlex disc golf course offers a challenge for the seasoned players, but novice will enjoy honing their skills on the long-distance tees too. Plenty of natural obstacles will give you a workout as you negotiate the course. 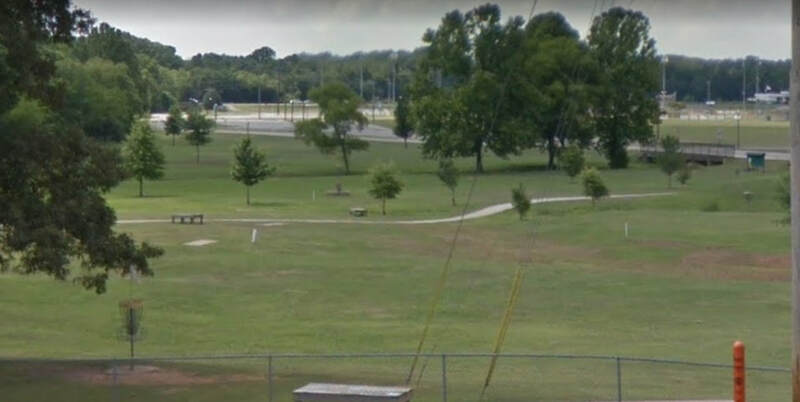 Located on the northside of the Calhoun Community College campus and bounded by U.S. Highway 31, this course is a skill-developer for novice and seasoned players alike. 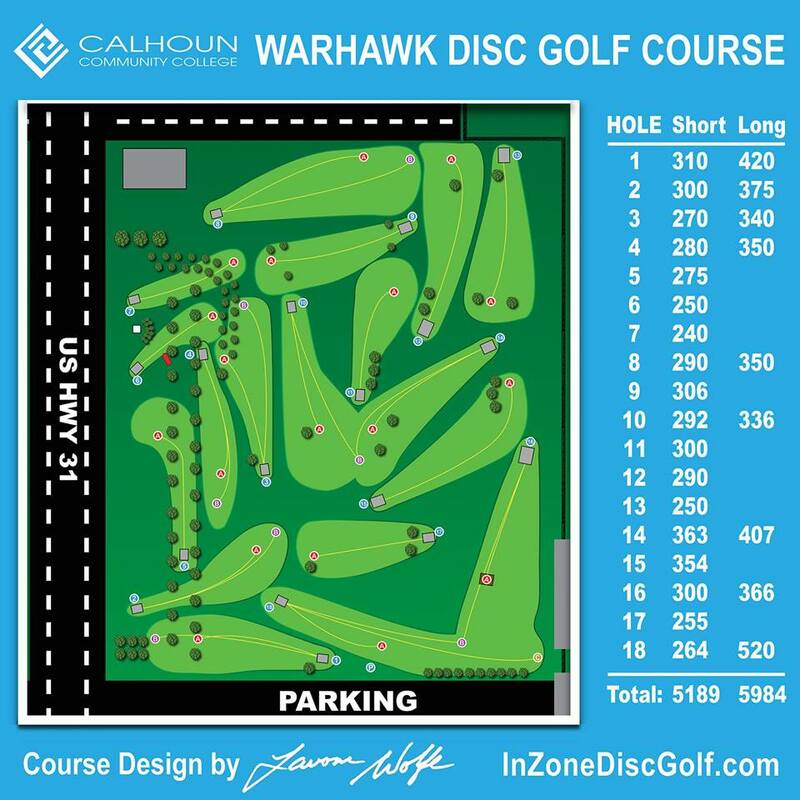 The Warhawk course incorporates advanced design elements including: risk-reward; false fronts; elevated targets; hillside approaches and putts; and out-of-bounds that when the wind blow can be a factor of skill. 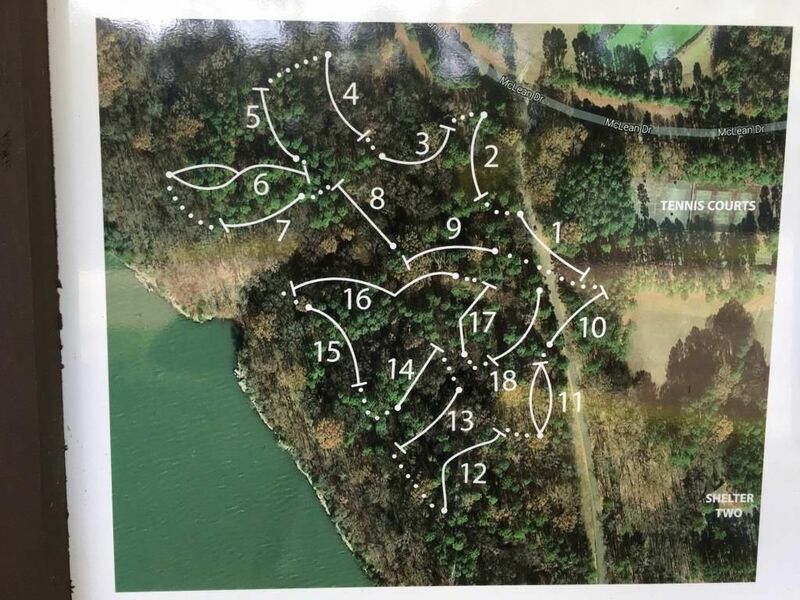 The Joe Wheeler State Park Disc Golf Course is an exceptional treat for novice and seasoned disc players that is approximately 30 minutes west of Athens on U.S. Highway 72 just past the town of Rogersville, AL. This moderately hilly and densely wooded course will hone the skills and be an enjoyable challenge to all skills level. ​After entering the main gate the course will be the second turn to the left, just look for the sign labeled picnic/beach area. After entering this area stay to the right and park by the tennis courts. Hole #1 and hole #10's tees are right across from the tennis courts.